Sign up to receive updates about future retreats and events hosted by The Living Room. We'll be in touch! Thank you. Do you have a project or idea that you’ve been waiting to get started on? Do you want to join a community that will support you to live a life more aligned with your purpose? You are invited to join our community of women changemakers. 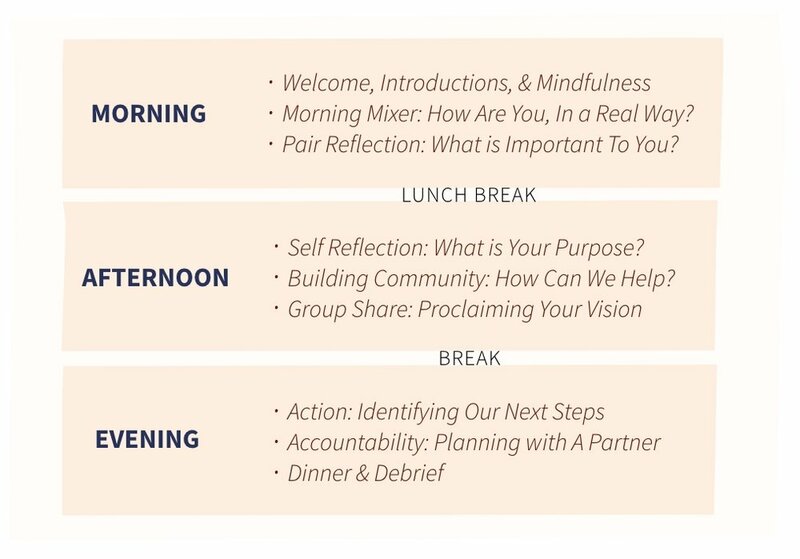 The daylong retreat will allow WOC to connect deeply, share their visions and support each other in fulfilling their goals. If you cannot attend but would like to be notified for future events, please fill out this form. Thank you for your interest in The Living Room. Please contact us at yesfredia@gmail.com if you have further questions or comments.